Developing a solid basis for future research and training, this illuminating volume facilitates peace and mutual understanding between people by addressing a root cause of social conflicts: identity constructions. The volume encompasses eight revealing empirical case studies from regions throughout the world, conducted by experts from diverse disciplinary backgrounds. Each case study examines how identities are being constructed and used in the region, how these identities are related to borders and in what ways identity constructions foment peace or conflict. The volume summarizes insights gleaned from these studies and formulates an analytical framework for understanding the role of identity constructions in conflict or peace. 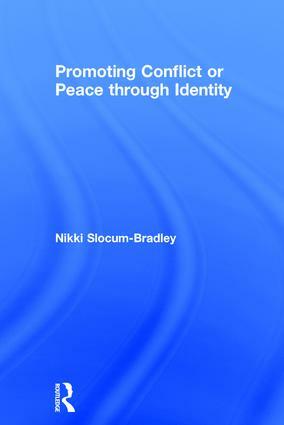 Nikki R. Slocum-Bradley is Research Fellow at the United Nations University, Belgium.